« Ballet boot LPM: Good progress. This was tonight’s work, along with some progress on my apartment/interior project. 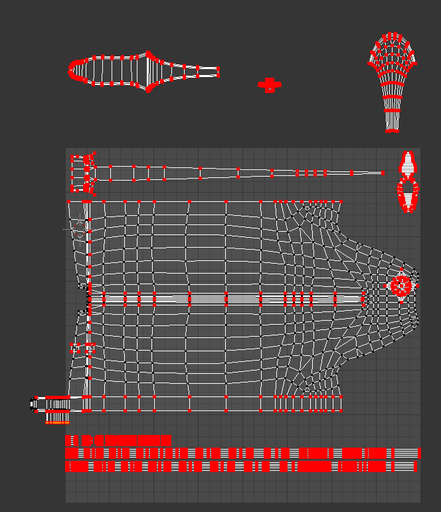 As usual, non final UVs, but most of the important things are uncluttered and cleaned. I’m thinking about reusing the lacing and hook textures from the Amelia boots, so I haven’t moved them on the texture map. 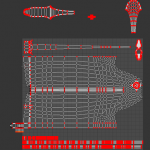 I might just re render them anyway to re-pack the UVs tighter. 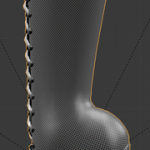 I did a second optimization pass on the boots and laces and got rid of a handful of hidden faces on the hooks and laces, it’s not “much” unfortunately but it’s better than nothing, the lacing still weights 2/3rd of the boots which bothers me but that’s what I get for fully modeled laces I guess. 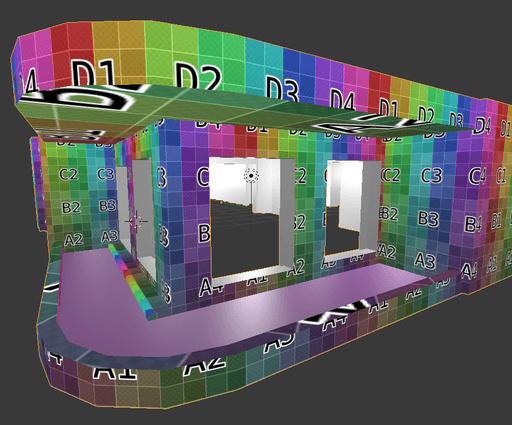 Here is a shot of the apartment, I gotta say making UVs for buildings is far more annoying than for wearables.